Dorine is a lover of travel and can fluently speak FOUR languages! She’s closely involved with the company’s social innovation as a Social Impact Ambassador in Cork. Read on to see what inspires this Briteling rockstar! I started on April 17th, 2018- about 11 months! I’m a Customer Experience Representative in Dutch, English, and French so I help creators to set up and manage their events, and to overcome any challenges they might encounter. As I work on different markets, it’s really interesting as none of my days look the same. Sometimes I get more queries from the UK and Ireland, but on other days I might have more queries from Belgium and the Netherlands or have more emails from France and Canada. That’s probably the favorite part of my role: the variety and cultural diversity! I’m also the Social Impact Ambassador in Cork and am lucky enough to coordinate all our social impact initiatives with our great team! BriteImpact was my favorite project because we started from almost nothing to developing a program that has already helped people in a homeless situation, women and children who are survivors of domestic abuse, and children in difficult situations to have a nicer Christmas. It has also brought so much positivity to our office. Our team has so much empathy that it’s a delight to work on this project. Working with Caroline Barlerin, our global head of social innovation, has been really inspiring, and she has been the most supportive mentor to help us be successful in this project! Everyone is genuinely nice, and I’ve really met some of the best people here. 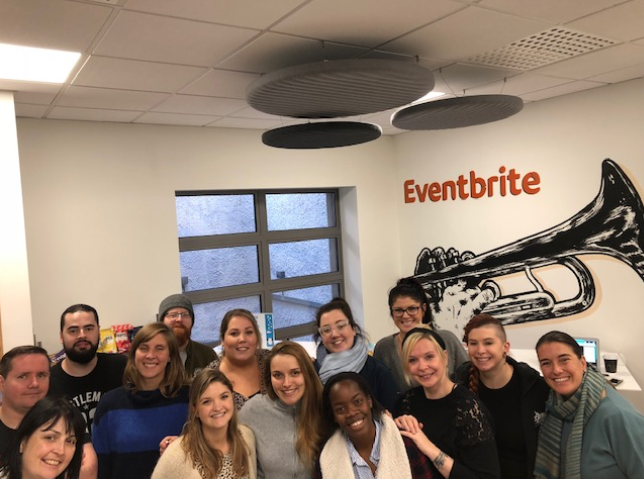 At the Christmas Party in London, I got to meet Britelings from all the European offices and it was really wonderful to see how everyone has one thing in common at Eventbrite: genuine kindness. Nothing is ever too much to ask, everyone is ready to teach you more about their role, skills or passion and it just really helps you to grow on a professional, but also a personal level. 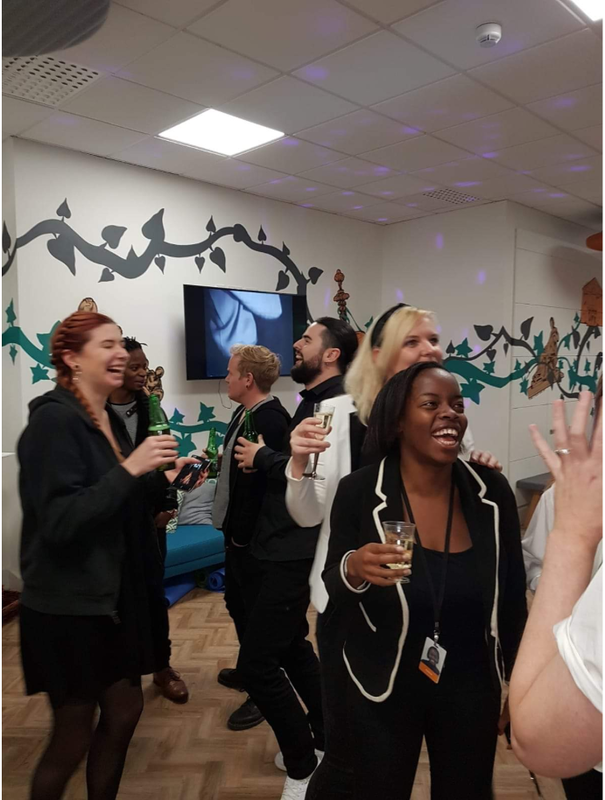 I got to travel to the London office after the most fabulous Christmas party there, and it was really nice to work in the office the day after the party. The office is very cozy, and relaxing in the hammock during your breaks is probably my favorite part of it! But more importantly, the London team is really welcoming and ready to offer you tea or coffee to relax after your travel — which immediately makes you feel at home! The office is also nicely located close to King’s Cross. I liked the fact that you could go from the office to London’s busy streets, which is very different from our nice and calm Cork environment. I love our mission statement, which is to bring people together through live experiences. When you’re on the phone, email or chat with creators you get to talk to some of the most inspiring people you’ll ever meet. They all have the passion to create something that is really important to them. Eventbrite not only brings people together outside of the company but also inside. Everyone makes sure no one feels left out or alone. Although we’re a public company, every single executive leader and manager is so approachable and always ready to help- it’s something quite exceptional and very valuable. The level of trust you get when working on projects you’re passionate about is really empowering and makes me very happy to work here! Everyone’s voice is important, and it shows in how we improve our product after receiving creators’ feedback and how new projects are implemented to make all Britelings feel more connected, based on our feedback. It has. That’s what I love about working at Eventbrite- you never have time to get bored. I started on as an English, French and Dutch speaker on basic queries, but then got to work on some big projects that were related to specific geographies. For example, in the Dutch market, I got to work on some really important projects like Amstel Festival which was a huge success! Different departments worked together and it was the best teamwork I’ve ever experienced. I also became the Social Media SME and I get to help creators and attendees on our social platforms, which I really enjoy. Tomorrowland in 2013! It was my first big live experience, and it was so amazing to meet people from all over the world who gathered to enjoy music, while all respecting each other. As I grew up in Belgium, it’s the biggest event we have there so getting to experience it was a blast. I love learning and reading more about anything that is related to social innovation, and more importantly, volunteering at charities in Cork. 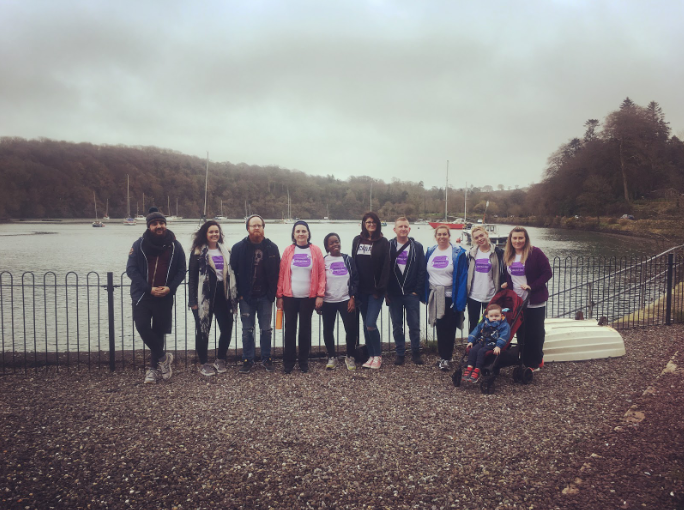 Fore example, Cork Simon Community helps people in homeless situations, and Women’s Aid provides support to women who are survivors of domestic violence and their children. Not everyone is as lucky as we are, and being able to give back to our community is something that makes me really happy and proud. Want to join Dorine and the rest of the team at Eventbrite? 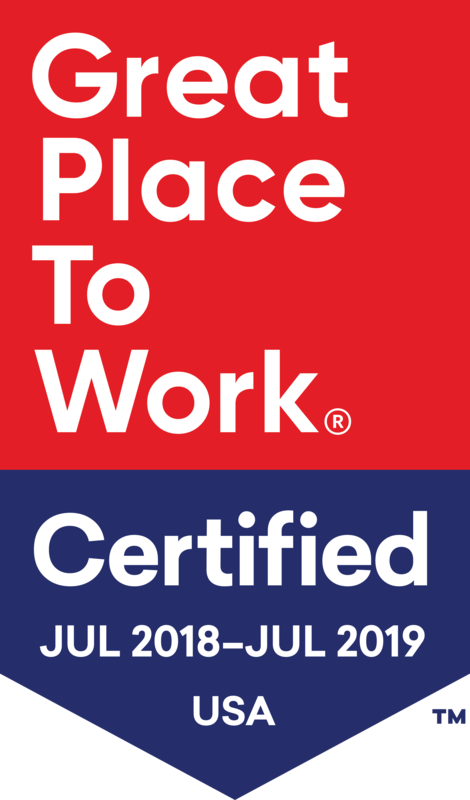 Be sure to check out our Careers Page to stay up to date on our latest postings! 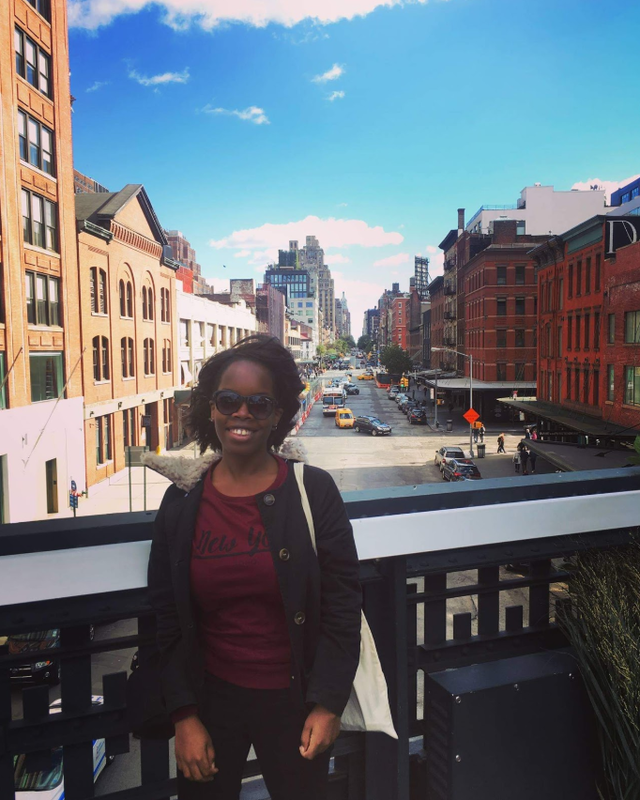 Briteling Spotlight: Dorine Setakwe was originally published in Briteling Blog on Medium, where people are continuing the conversation by highlighting and responding to this story.